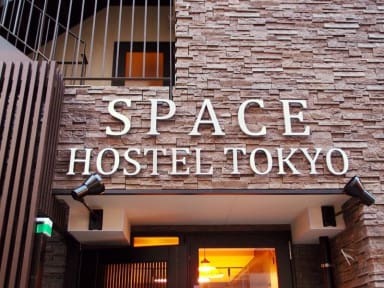 Space Hostel Tokyo, Tokio, Japonia : Rezerwuj teraz! 7. Please complete your payment only by Japanese Yen cash when check in. We are located between the popular touristic destinations of Asakusa and Ueno. Only 3 minutes away from IRIYA Station on Hibiya Line. Hibiya Line goes to popular touristic spots in Tokyo including Ueno, Akihabara, Ginza, Tsukiji Fish Market, Imperial Palace, Kabuki Theater, Roppongi and many more! Also we are 5 minutes walk from the famous Kappabashi Kitchen Street as well as 8 minutes bus ride away to Yanesen to experience Japanese culture. 1 minute walk to bus stop, restaurant and bank, 2 minitues to convenience store and drug store, and 100YEN store. We believe the common area/living room is the most important part of the hostel. The furnitures are custom-made by the best craftsmen in Japan, and they are made of natural wood. We put a lot of effort in designing them including the details to make sure all the guests feel comfortable, and to create an atmosphere where people can easily have nice conversations. The common area/living room also include kitchen, refrigerator, and computers. We have free and the fastest wi-fi! We are using 1Gbps wi-fi, which makes it possible for many guests to use it at the same time and still be fast. Our wi-fi works for smartphones, tablets, PC, and etc. We have three brand new computers in the common area with anti-virus software installed. They also include Microsoft Office for customers who need it, such as those on business trips. All beds have down-quilt futon. Very warm and comfortable! Reading light, sockets and separation curtain are attached each bed.